Please don't tempt me... I will give in this weekend. Don't buy me shots, don't tell me to take off my shirt while dancing, don't ask me to skip the gym and hang out and watch TV instead... I am so easily corrupted. Our shirt is softer and of higher quality than our competition and is nothing short of amazing. 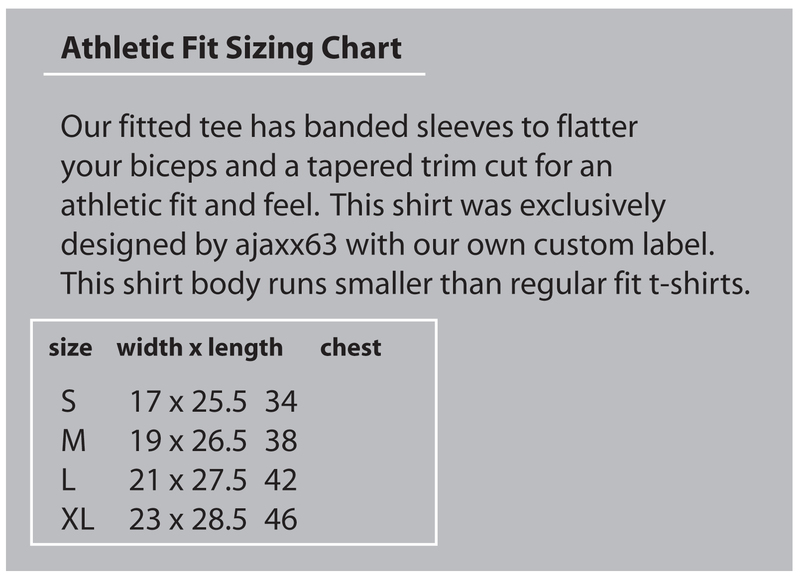 It hugs the biceps with an engineered stretch band and shows off what needs to be shown off in pure ajaxx63 style. An extremely flattering fit.